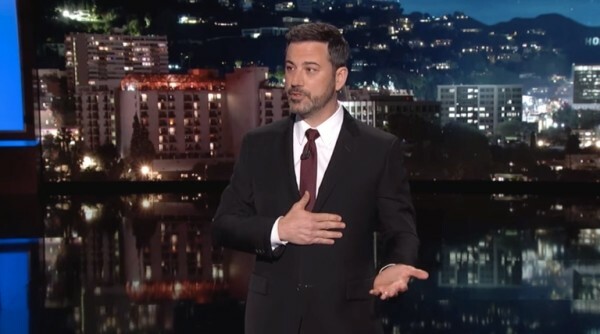 Last night, Jimmy Kimmel digressed from his usual light-hearted monologue and told his audience that within hours of his birth last week, son, William “Billy” Kimmel required emergency open heart surgery to repair severe heart defects. Jimmy Kimmel and his family are part of the group of “lucky” Americans that not only have health insurance, but can afford to pay the costs not covered by insurance without difficulty. However, most of us are not that fortunate. Even if we have health insurance, many are frequently forced into bankruptcy since they cannot afford to pay for the uncovered treatments. In addition, Jimmy’s infant son now belongs to the group of us that have been branded as having pre-existing conditions. If you’re following the on-going horror story of the Republicans’ efforts to repeal and replace the Affordable Health Care Act (Obamacare), the issue of pre-existing conditions is the biggest stumbling block. While most believe that we should not return to the pre-Obamacare days when you couldn’t get health insurance if you had a pre-existing condition, how to pay for the care is the problem. This really shouldn’t even be an issue if the Republicans weren’t clueless as to the concept of risk management. Simply stated, risk management means that if you insure a group of people, you need to have more people in the group that will RARELY use their insurance benefit to cover the costs of those that will need to use it regularly. It’s the same thing for car insurance. Even if you never put in a claim, your insurance rate is determined by including even those that are always making claims — the entire insurance pool. Risk management is the tool that will keep the premiums as low as possible for everyone. Why is this important? Because like it or not, having health insurance in the United States is not a right like it is in Canada or Europe, it is a for-profit commodity. Decisions are made not based on what is best for the individual being insured, but rather on making the most money for the investors. So the fewer health insurance claims that need to be paid, the more money made by the insurance company. And if you never believed that this Republican Congress is just concerned about the wealthy, just listen to them try to convince their constituents that putting people with pre-existing conditions into a separate pool is the answer. If you believe this ridiculous notion, then I have some swampland to sell you. It doesn’t take Warren Buffet to understand that if you have a group of people in a pool that will need to use their health insurance benefit regularly, it will be too damn expensive for anyone to buy, that is, unless you’re Donald Trump. Does this mean that Jimmy Kimmel’s son didn’t lead a “good life” in utero? What about people like myself who were struck down by a drunk driver and now have serious health issues? Was I not living a “good life” because I just happened to be in the path of this drunk? I tried to call Rep. Brooks office many time today to tell him what a poor excuse for a human being he is but his phone is continuously busy. So hopefully, Brooks is hearing from people about what a despicable person he is. I know that Jimmy Kimmel’s audience is not just Democrat/Republican or liberal/conservative so I hope that people were moved by his heartfelt story about his son and will contact their Congressional representatives and clearly tell them that any attempt to repeal the pre-existing condition principles of the Affordable Care Act is a non-starter in any attempts to amend the Act. At the request of the Kimmel family, if you are able, please consider making a donation to the Children’s Hospital Los Angeles at www.chla.org/donate or St. Jude’s Hospital at www.stjude.org/give to help other children get the medical care that they need.